The Masters is officially underway at Augusta National Golf Club. Brooks Koepka and Bryson DeChambeau look rock-solid. Phil Mickelson’s here to stay. Tiger Woods is in contention, too. So are Ian Poulter, Dustin Johnson Rickie Fowler and heck — just about the entire field. Can Jordan Spieth or Justin Rose rally to make the cut? Here’s what you need to know for Friday’s second round. Yeah, they’re the same groups as Thursday, but here are the five most intriguing, along with their Friday tee times (ET). 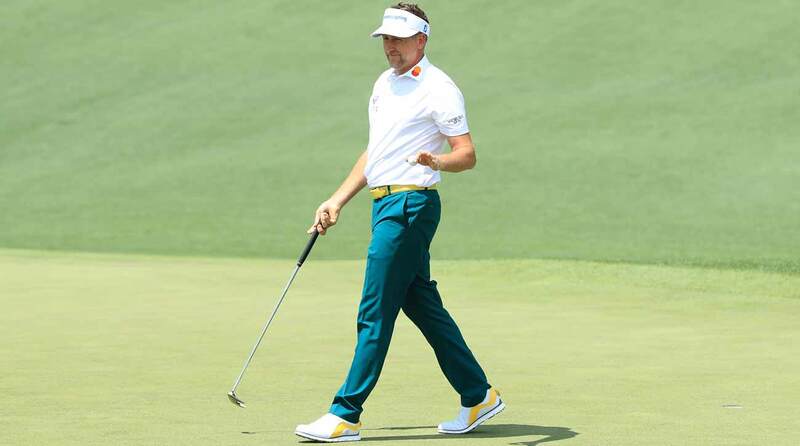 Ian Poulter is among the contenders after one round at the 2019 Masters. After the second round, golfers with the low 50 scores, plus ties, as well as any golfer within 10 strokes of the lead, advance to play the final two rounds. After Thursday’s bunched leaderboard, the cut line watch will be very interesting come Friday. Streaming options will be available on Masters.com beginning at 8 a.m., where you can watch players on the range, featured groups, Amen Corner and holes 15 and 16. The TV broadcast is on ESPN from 3-7:30 p.m. Temperatures will be in the high 60s when the first group tees off at 8:30 a.m. ET, and it will be an unpredictable day of weather at Augusta National. There’s a chance of scattered thunderstorms in the forecast, hovering between 30 and 50 percent chance all day, while winds will sit between 5-10 mph. Tiger Woods fired an opening-round two-under 70 at Augusta on Thursday, at one point holding a share of the lead after a birdie at No. 14. But as the day went on more and more players passed him by. Still, Woods sits at the edge of the top 10. He may slide further down by the time he tees off at 1:49 p.m. Friday afternoon in the second-to-last tee time, however. Which of golf’s heavyweights will maneuver into the lead going to the weekend? With unpredictable weather ahead, Friday will be all about positioning. Will Bryson DeChambeau and Brooks Koepka hold their ground? Or D.J. or Phil or Rickie or Tiger? Justin Harding? Corey Conners? There are way too many names within striking distance to know much of anything. That makes Friday worth tuning in for.